The adoption of artificial intelligence has been rapidly accelerating across the regions that embraced its impact on industries, economies and lives. The Middle East has seen a significant increase in the technology's adoption and parts of the region have already embraced the new digital age. A study conducted by the International Data Corporation (IDC) estimated that spending on cognitive and artificial intelligence (AI) systems in the Middle East and Africa (MEA) region will grow from $37.5 million in 2017 to over $100 million by 2021, representing a growth rate of 32% a year. The Middle East has chosen to be part of the technological disruption and shift towards advanced technologies, namely artificial intelligence. The latter will have a huge impact on the region, notably at the economic level given the benefits of AI in generating revenues and increasing countries' GDP. 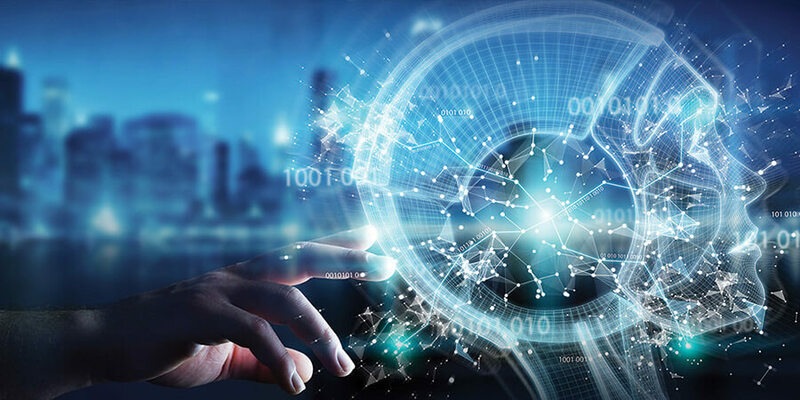 In fact, a study by PwC estimates that the Middle East is expected to accrue 2% of the total global benefits of AI in 2030, which is equivalent to US$320 billion. In absolute terms, the largest gains are expected to accrue to Saudi Arabia where AI is expected to contribute over US$135.2 billion in 2030 to the economy, equivalent to 12.4% of GDP. In relative terms, the UAE is expected to see the largest impact of close to 14% of 2030 GDP. The KSA and UAE have been largely investing in artificial intelligence which puts them on top of the countries in the region aiming to adopt the technology and leverage it. Governments and businesses are striving to strengthen their AI capabilities and are committing to strategies they have elaborated in this regard. Infrastructure and access to skilled labor are also two factors that enabled the development of AI in these two countries in particular compared to a slower development in other Middle Eastern countries. The UAE's strategy for AI launched in October 2017 reflects the government's commitment to technologically enhancing the nation. In addition, H.H. Sheikh Mohammed Bin Rashid Al Maktoum, vice president and prime minister of the UAE and Ruler of Dubai, appointed H.E. Omar Bin Sultan Al Olama as the first Minister of State for AI. In this context, The UAE Minister for Artificial Intelligence and Invest India have signed in July a Memorandum of Understanding for the India - UAE Artificial Intelligence Bridge which is dedicated to spur discussion and explore options for both countries to grow their artificial intelligence economies. This partnership will generate an estimated $20 billion USD in economic benefits during the next decade. The UAE-India collaboration will seek to evaluate the dynamic nature of innovation and technology by convening a UAE-India AI Working Committee (TWG) between the UAE Ministry for Artificial Intelligence, Invest India and Startup India. The TWG will meet once a year with the mandate to increase investment in AI startups and research activities in partnership with the private sector. "How a country chooses to embrace artificial intelligence will have a tremendous impact on a country's ability to innovate and prosper. 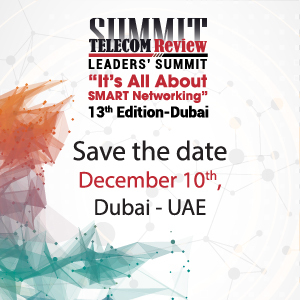 In the coming years, data and processing will be a catalyst for innovation and business growth and serve as the backbone of more effective and efficient service delivery systems," said His Excellency Omar Al Olama, Minister of State for Artificial Intelligence for the United Arab Emirates on the occasion. Furthermore, UAE-based telecommunications service provider EITC (du) has formalized an ongoing collaboration into a strategic partnership with Microsoft on an artificial intelligence program designed to empower employees, engage customers, optimize operations and streamline the delivery of products and services. Over the past 10 months, du has been working closely with Microsoft on identifying ways to incorporate digitally transformative technologies such as AI and machine learning into the company's ICT infrastructure and train du employees on ways to leverage them. Some of Microsoft's technologies and platforms, such as its cloud services platform Azure, as well as its Cognitive Services and Facial Recognition platforms, are currently being showcased at EITC's newly-opened Idea Hub in Dubai. 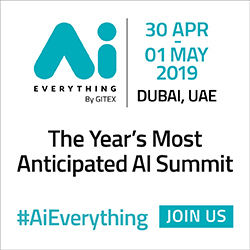 UAE operator Etisalat has also been focusing on AI in several initiatives, most importantly in its partnership with the government-supported Dubai Future Accelerators. Dubai Future Accelerators was launched in 2016 by His Highness Sheikh Hamdan bin Mohammed bin Rashid Al Maktoum, Crown Prince of Dubai and the chairman of Dubai Future Foundation under the directives of His Highness Sheikh Mohammed bin Rashid Al Maktoum, Ruler of Dubai. The program is a government initiative that aims to bring the world's most exciting and transformative technology startups to Dubai to collaborate with local entities and find solutions for future challenges. This partnership is part of Etisalat Digital strategy to bring the latest technologies and innovations to enable a smart ecosystem. The 5th cohort of Dubai Future Accelerators is focusing on creating smart innovative solutions based on emerging technologies like AI and blockchain. The technology themes for the challenges under the fifth cohort of this program revolve around using AI and blockchain to address key areas of any smart city. Saudi Arabia has been also very active in the development of AI-based technologies in a bid to achieve digital transformation. To that end, it has established Saudi Vision 2030 and the National Transformation Program 2020 that identify digital transformation as a key goal. Saudi Arabia was the first country in the world to grant citizenship to a robot. Sophia, the female robot built by Hong Kong-based Hanson Robotics, was introduced at a large investment conference in the Saudi capital, Riyadh. The purpose of presenting the robot was to give an example of how robot technology and artificial intelligence will make machines more human-like in the future. The Kingdom of Saudi Arabia Vision 2030 recognizes the important role development of advanced technology, AI and industrial automation will play in the future of society, particularly as an economic diversification tool. Saudi telecom operator STC has adopted a new strategic approach which will help accelerate its digital transformation through its new DARE strategy which is based on the following four pillars: Digitizing STC, Accelerate performance of core assets, Reinvent customer experience and Expand aggressively scale and scope. The DARE strategy is well aligned with the information revolution that is taking place globally through technologies such as internet of things, information security, data analysis and artificial intelligence. AI has the potential to fundamentally disrupt markets in the Middle East through the creation of innovative new services and new business models. Leaders should explore the possibilities and set their strategies in order to grasp the endless opportunities provided by artificial intelligence in the region.